Google’s 2-year-old “Project Loon” program aims to change that by transmitting high-speed Internet signals from clusters of balloons floating about 60,000 feet above the Earth. Although the project is still being funded primarily by money that Google makes from digital advertising, it recently became part of an independent lab called X that is run by Google’s new parent company, Alphabet. Alphabet frames Project’s Loon as a noble endeavor striving to get about 100 million currently unconnected people tapped into the vast reservoir of knowledge, entertainment and conveniences available online. But it could also enrich Google by expanding the potential audience that can query its search engine, watch video on YouTube, correspond through Gmail and click on digital ads. Project Loon is still testing its technology, so there is still no estimate when it will start selling the Internet service to households and businesses within range of the balloons. The Internet access will be sold through wireless service providers in Indonesia, where there the number of mobile phones – about 319 million – outnumber people. But most of those phones don’t connect to the Internet because users can’t afford data plans, or more frequently, live in remote or rocky terrains where it’s impractical or too expensive to install the equipment need to deliver high-speed Internet access. If things pan out as envisioned, Project Loon will deploy hundreds of balloons that serve as cell towers in the sky, invisible to the naked eye. To pull it off, the project’s engineers must choreograph a high-altitude dance, ensuring that as one balloon drifts out of a targeted territory’s Internet-receiving range, another one will float in to fill the void. The Indonesian expansion follows extensive testing in New Zealand, Australia and remote areas in California and Brazil. Indonesia’s sheer size and geographic sprawl makes it Project Loon’s most ambitious step yet. 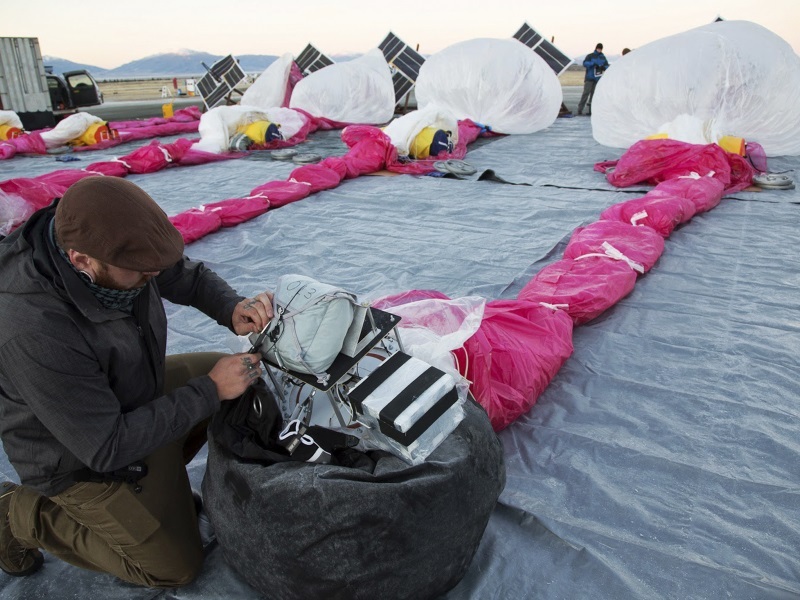 Eventually, Project Loon envisions dispatching its balloons to other unconnected regions in the world, ranging from small villages in Africa to the woods of California. Google co-founder Sergey Brin envisions Project Loon eventually creating millions of jobs around the world to raise the standard of living for now-impoverished people as they are able to get online to educate themselves and make new connections. “The emotional distance of the world is shrinking, thanks to the communications we enjoy today,” said Brin, who oversees the X lab as Alphabet’s president.